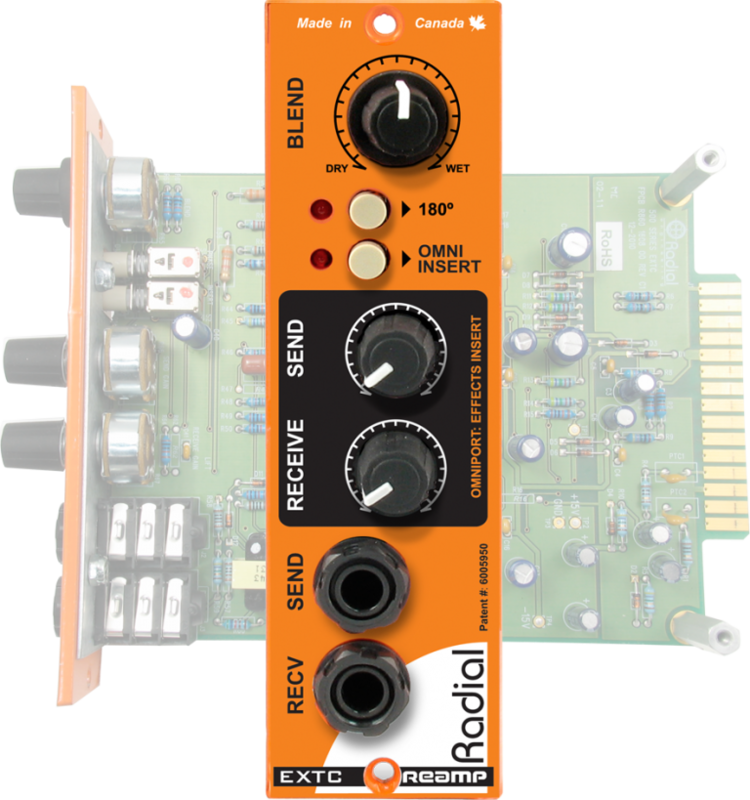 The Radial EXTC is a unique 500 series module that allows you to connect guitar pedals to the inputs and outputs of pro audio equipment, providing the ability to incorporate effects pedals into your mix in new and creative ways. The EXTC-500 is a 500 series module that allows you to get creative with your effects pedals, using them in your mix on any recorded track. Add a touch of distortion or chorus to a lead vocal, flange on a violin, or fuzz on piano - the possibilities are endless. The EXTC-500 takes the line level balanced output of your recording interface and converts it so an instrument level high-Z output optimized for guitar effects pedals, so you can Reamp any track through your pedalboard with ease. 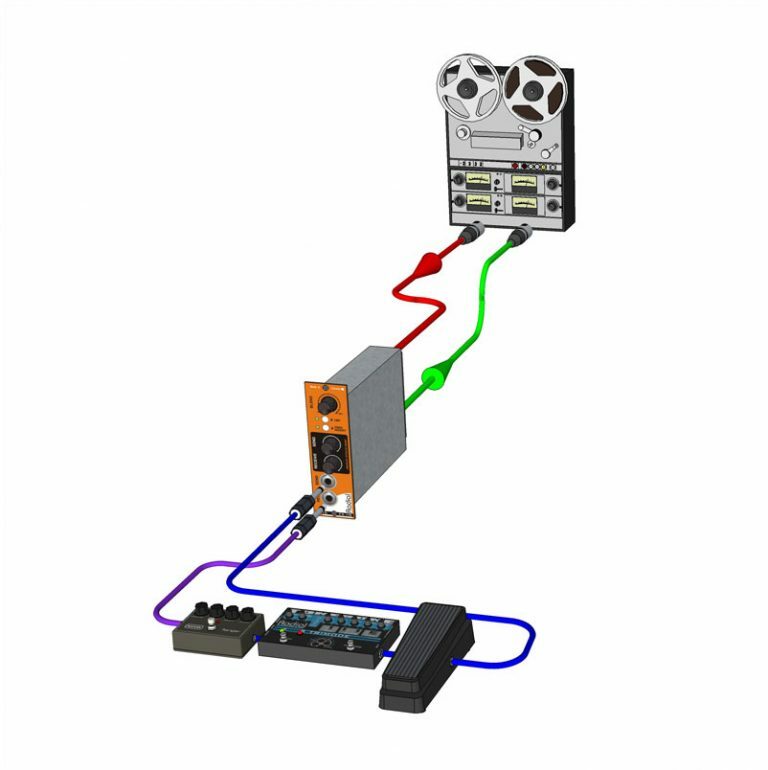 Once you've run the signal through your pedals, connect the output back into the EXTC and it will boost it up to a balanced line level so you can connect directly to the input of your recording interface. 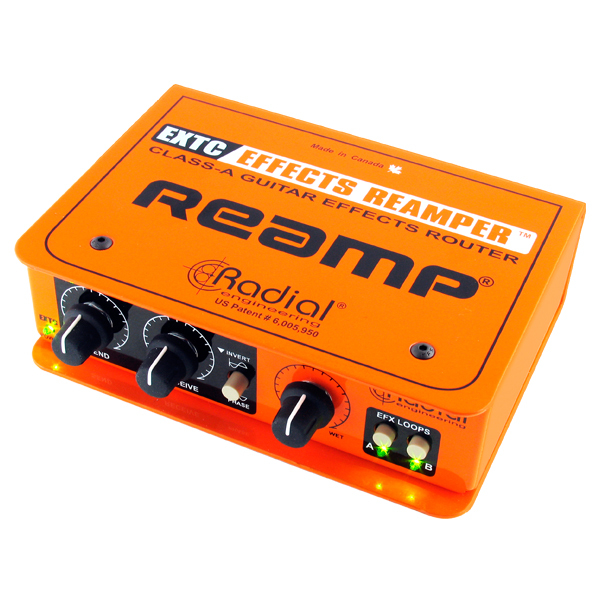 The EXTC features Radial's class-A buffer for the best audio quality and transformer isolation to eliminate any buzz or hum - so you can focus your attention on using your pedals in new and exciting applications. Take a dry track, send it to the EXTC which in turn feeds your pedals. This is the perfect way to add some extra zest to a vocal track; an envelope follower to a kick; or some wah to that Hammond. Plug your mic into the PowerPre and send the signal into the EXTC. From there, you add an effect like a Tonebone Trimode using the blend control to mix in just the right amount of distortion. Plug your guitar or bass into the JDVPre and have it feed the EXTC where you can send the signal through your pedals. Then bring the signal back through the JDX to emulate a speaker cabinet. 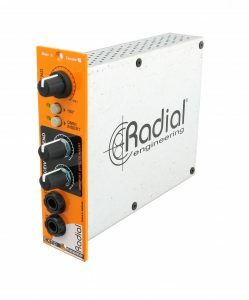 "The Radial EXTC encourages creative experimentation, and you're bound to come up with your own unique and individual tones when you use this box. 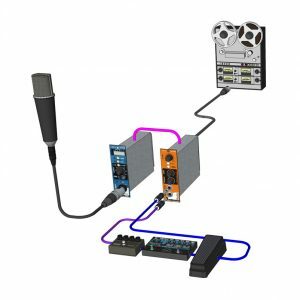 As is typical with Radial equipment, the EXTC solidly built, and exceptionally well thought out, and it provides the user with all the tools they need to use effects pedals when tracking, reamping, or when mixing. It's a ton of fun to use too; all of which makes it a must-have for 500-series rack owners." "At the end of the day, I just added seven overdrives, six delays, two envelope filters, a ring modulator, a PLL, and many other once-lonely effects pedals to my tone-shaping arsenal." 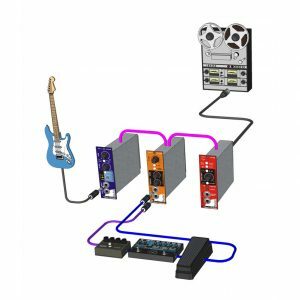 "It's a balanced interface for stompboxes and other guitar effects that allows users to merge groovy and heinously gritty guitar boxes with pro-audio recording media. Run a line-level signal from your DAW into the EXTC, and it will "unbalance" the signal and convert it to high impedance - the prefect insert signal for effects pedals of all types." "The EXTC is a must-have for any 500 Series owner. 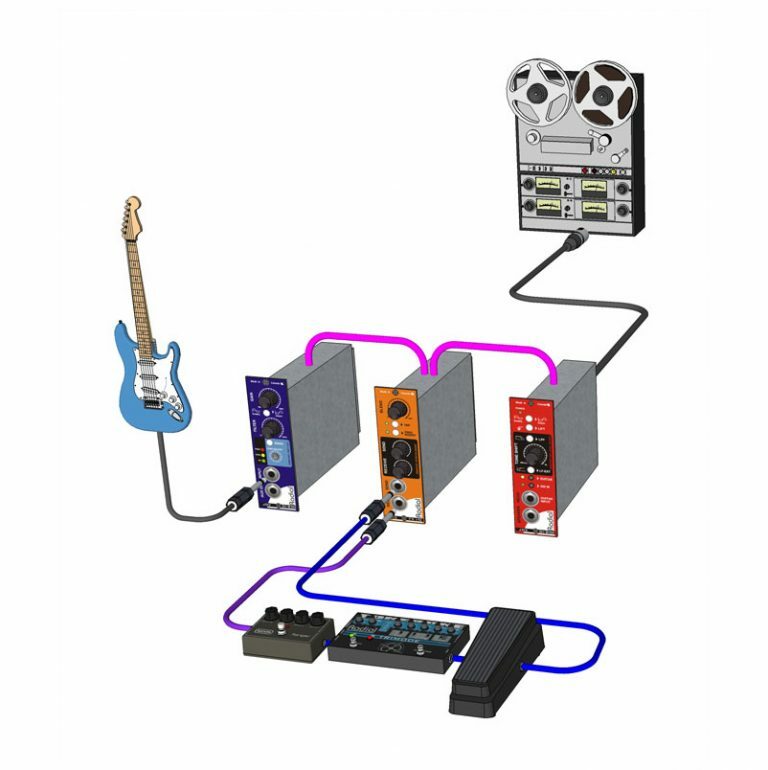 The features and construction are solid and it gives you the ability to use low-cost guitar gear in a studio setting. It gives mixes a kick in the pants!" "Radial shows that the 500 series concept doesn't have to be limited to processors like EQ or compressors. 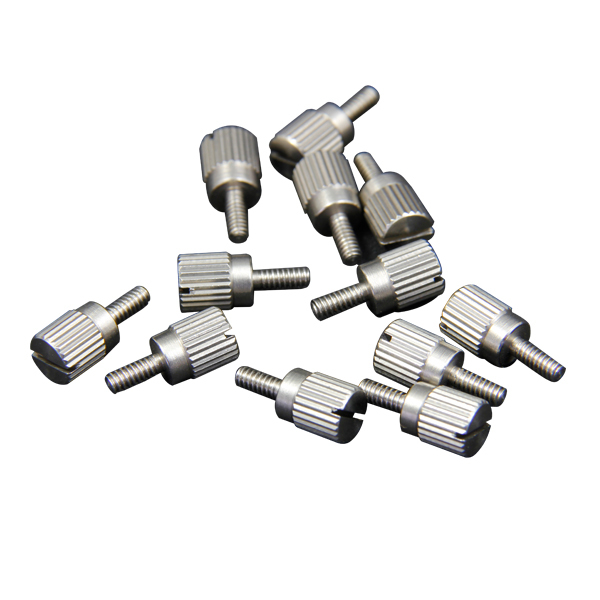 These specialty devices are designed for a wide range of tasks." "If you use a lot of guitar effects and are always on the lookout for the cleanest and most flexible way to add them to your tracks, the EXTC will leave you in... oh, you know." "Using the EXTC, I was surprised at how quietly most pedals can perform, and this got me digging out some neglected curios which sounded stunningly clean and juicy." "I much prefer the sound of some guitar effects boxes to rack gear and the Radial EXTC is a perfect interface to my world of pedals. It's easy to set up, blend in and inject some 'real' tone into a mix." "I use my 3 EXTCs on every recording and mix I do. They are absolutely, positively perfect for interfacing low level gear such as pedals, or in my case, Tape Echos into my console. Been wanting someone to do this in a 500 space for years. It's just a great tool!" "I had been running tracks out of Pro Tools and processing them through stomp-boxes but the results were hit and miss. Then I heard about the EXTC 500. So great!! Now the tracks are always at the proper impedance and the whole phase flip for different pedals is genius. I don't see how I lived without it!" The Radial EXTC-SA is a stand-alone audio interface that lets you incorporate guitar effects into the realm of pro-audio recording. 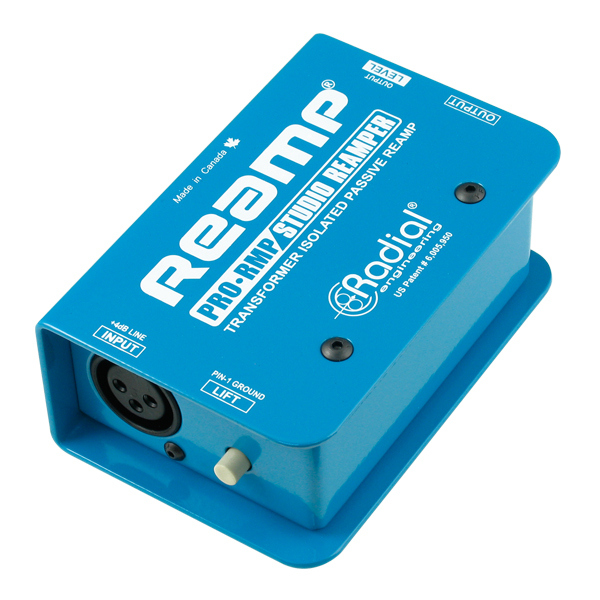 The Radial X-Amp is a dual output class-A active Reamper that lets you take a pre-recorded track and send it through amps and pedals without noise. 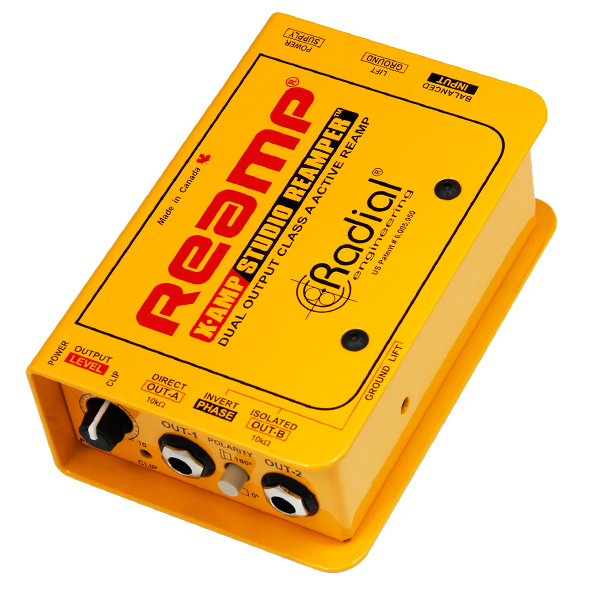 The Radial ProRMP is a passive Reamper that lets you take a pre-recorded track and send it through a guitar amp or pedal chain without noise. 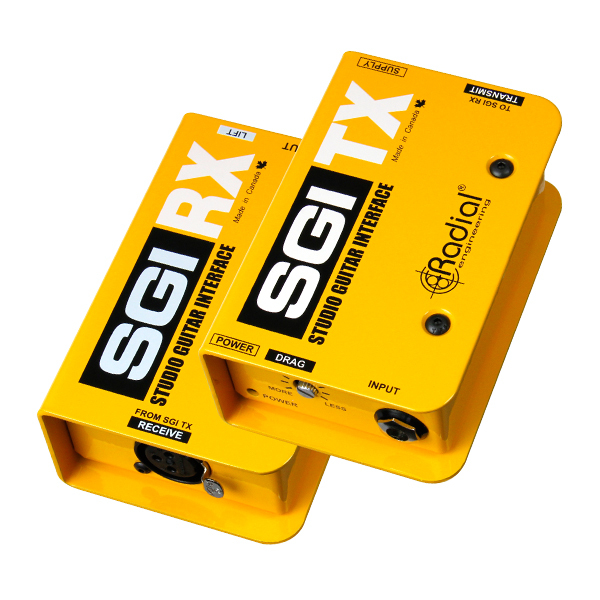 The Radial SGI Studio Guitar Interface class-A line driver with load correction lets you send a guitar signal beyond 100 meters via balanced cable without noise.